Our beloved Martha Anne Caroline Verge du Pont (Muffin) passed away peacefully in Wilmington, Delaware on Tuesday, August 8, 2017, surrounded by her children. She was very active in the Morgan horse and equestrian community in general having spent many years breeding, training and showing what she regarded as the only true American breed of horse. She was named “Woman of The Year” in 1988 by the American Morgan Horse Association. However, her true passion for all of her life Martha Verge du Pont was her dedication as a true advocate for neglected, abused, and delinquent children. She served on the Board of Directors of the Boys’ Home of Delaware, beginning in1965. In 1967 she married Henry E. I. du Pont, who joined her as an advocate for children, and also became a member of the Boys’ Home Board of Directors. When he asked her what she wanted as a wedding gift, Martha told him that she wanted a home for the boys in the program. His gift to her was a 35-bed group home for boys. In following years Martha and Henry purchased three other group homes for children, and a building that served as a diagnostic and family counseling center. One of the buildings was converted to Delaware’s first Emergency Shelter for Children in 1974. It is the Governor Charles L Terry Emergency Shelter: Delaware’s only Emergency shelter for children and youth which is still operational today. In 1973, Martha and Henry expanded the mission of the Boys’ Home and renamed it the Child Foundation with the goal of helping children by also serving their families which was a revolutionary approach at the time. In 1975, the multiservice agency became Child Inc. In 1988, one of its shelters for victims of domestic violence and their children was named Martha’s Carriage House in her honor. Now over 50 years old, her agency continues offering these vital services in the community for neglected, abused, dependent and delinquent children, victims and perpetrators of domestic violence, and has touched over 12,000 families in Delaware. Other examples of services are parent education, family service centers in certain communities, and court advocacy for victims of domestic violence. Programs she envisioned have been nationally recognized and replicated across the United States, having received numerous awards. She was awarded an honorary Doctorate in Psychology from Brown University for the programs she created to treat families as a whole which was at the time an unconventional approach to preserve the family unit. Mrs. du Pont was predeceased by her husband and parents, as well as her brothers, Jack R. Verge and George S. Verge. She is survived by her brother William G. Verge, and her seven children: daughter Catherine du Pont Schlaeppi (Martin) and their four children, Elizabeth Schlaeppi Johrendt William Schlaeppi, Charles Schlaeppi, and George Schlaeppi; her son William Garey Schneider (Jane) and grandsons William Schneider and Matthew Schneider; son Christopher Hans Schneider and granddaughters Kelly Dewispelaere, Christina Schneider and Katherine Schneider; daughter Martha Ann Caroline du Pont, (Daniel) and grandson Justin Kiracofe; son Henri Verge du Pont (Dina) and grandsons Louis du Pont, Victor du Pont and Felix du Pont; daughter Sophie Madeline du Pont; and son Henry E. I. du Pont II (Diane) with grandchildren Henry E. I. du Pont III and Grace du Pont. 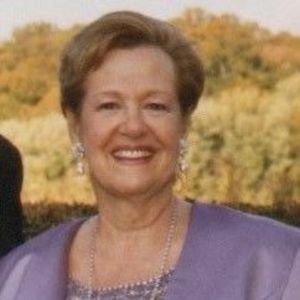 Of her five stepchildren, she was predeceased by Lawrence du Pont, and survived by his former-wife (Gerry) and grandchildren Lawrence du Pont II, (Veronica) Jennifer Cianci, (Guy), and Jason du Pont; his widow (Suzanne) survives with grandchildren Alex du Pont, Gabrielle du Pont; her stepdaughter Deborah Lynch, (Trip), with grandchildren William Melick, Alex Lynch, Benjamin James Forrest Pries, Christopher Schommer-Pries, Cordelia Marney, (Todd), stepdaughter Nicole Lawrence. She is survived by 9 great grandchildren and one great-great grandson. Her former husband, Paul Schneider, also survives. In lieu of flowers, the family asks those who wish to show their love and support for her and the important work for which she spent her life, to make donations to Child Inc., online at https://www.childinc.com. A Memorial Service will held on Saturday, August 26, 2017 at 10:30 AM at Seeds of Greatness Ministries, 828 Frenchtown Road, New Castle, DE 19720. Friends and family are invited to attend a visitation on Friday, August 25, 2017 from 6:00 to 8:00 PM at CHANDLER FUNERAL HOME, 2506 Concord Pike, Wilmington, DE 19803. Interment will be private at the family cemetery.